I am using PyCharm to work on a project. The project is opened and configured with an interpreter, and can run successfully. The remote interpreter paths are mapped properly. This seems to be the correct configuration, but PyCharm is highlighting my valid code with "unresolved reference" errors, even for built-in Python functions. Why don't these seem to be detected, even though the code runs? Is there any way to get PyCharm to recognize these correctly? This specific instance of the problem is with a remote interpreter, but the problem appears on local interpreters as well. File | Invalidate Caches... and restarting PyCharm helps. Dmitry's response didn't work for me. I got mine working by going to Project Interpreters, Selecting the "Paths" tab, and hitting the refresh button in that submenu. It auto-populated with something called "python-skeletons". There are many solutions to this, some more convenient than others, and they don't always work. 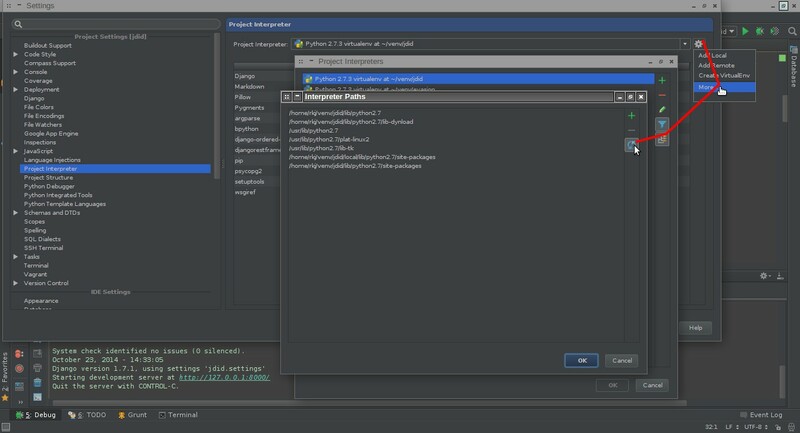 Do File -> Invalidate Caches / Restart and restart PyCharm. You could also do this after any of the below methods, just to be sure. First, check which interpreter you're running: Run -> Edit Configurations -> Configuration -> Python Interpreter. Delete your PyCharm user preferences (but back them up first). Switch to another interpreter, then back again to the one you want. Create a new virtual environment, and switch to that environments' interpreter. Switch to another interpreter altogether, don't switch back. I find myself removing and re-adding the remote interpreter to fix this problem when Invalidating Caches or Refreshing Paths does not work. 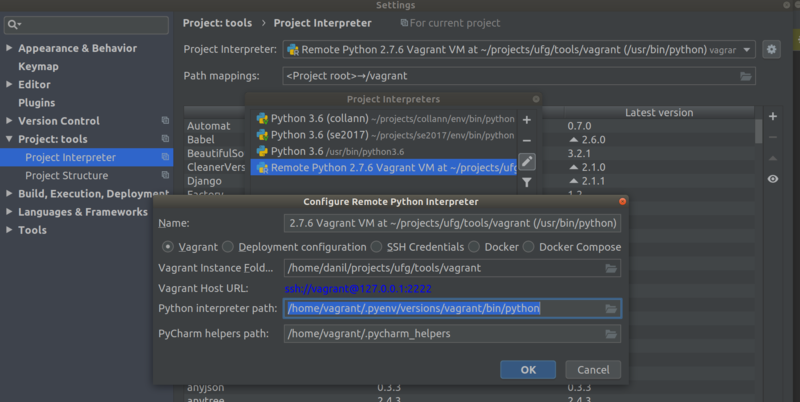 I use vagrant and every once and awhile if I add a new VM to my multi-vm setup, the forwarded port changes and this seems to confuse PyCharm when it tries to use the wrong port for SSH. Changing the port doesn't seem to help the broken references. So right click on dir_b > "mark directory as" > "project root"
If none of the other solutions work for you, try (backing up) and deleting your ~/.PyCharm40 folder, then reopening PyCharm. This will kill all your preferences as well. On Mac you want to delete ~/Library/Caches/Pycharm40 and ~/Library/Preferences/PyCharm40. Select Project Interpreter you are in. Select Reload list of paths. Sorry to bump this question, however I have an important update to make. You may also want to revert your project interpreter to to Python 2.7.6 if you're using any other version than that This worked for me on my Ubuntu installation of PyCharm 4.04 professional after none of the other recommendations solved my problem. 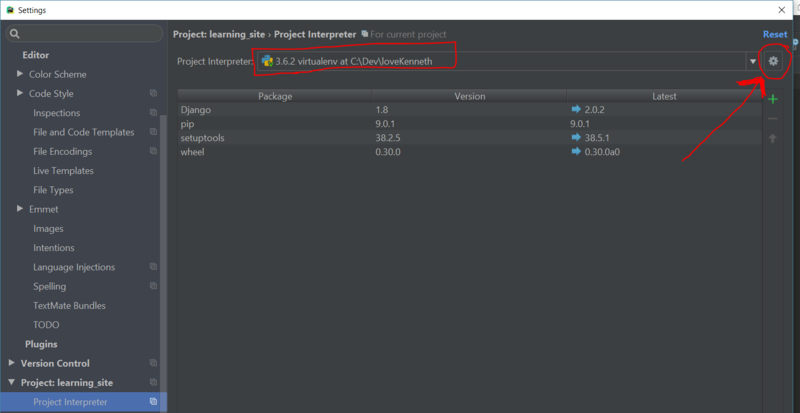 You might try closing Pycharm, deleting the .idea folder from your project, then starting Pycharm again and recreating the project. This worked for me whereas invalidating cache did not. I finally got this working after none of the proposed solutions worked for me. I was playing with a django rest framework project and was using a virtualenv I had setup with it. I was able to get Pycharm fixed by marking the root folder as the sources root, but then django's server would throw resolve exceptions. So one would work when the other wouldn't and vice versa. That second playground folder is the one I had to mark as the sources root for everything to work as expected. That didn't present any issues for my scenario so it was a workable solution. Just thought I'd share in case someone else can use it. It could also be a python version issue. I had to pick the right one to make it work. I closed all the other projects and run my required project in isolation in Pycharm. I created a separate virtualenv from pycharm and added all the required modules in it by using pip. I added this virtual environment in project's interpreter. This solved my problem. Switch back to virt interpreter and add the skeletons path manually if it didn't automatically show up. None of the above solutions worked for me! If you are using virtual environment for your project make sure to apply the python.exe file that is inside your virtual environment directory as interpreter for the project (Alt + Ctrl + Shift + S) this solved the issue for me. In my case the inspection error shows up due to a very specific case of python code. A min function that contains two numpy functions and two list accesses makes my code inspection give this kind of errors. Removing the 'd=0' line in the following example gives an unresolved reference error as expected, but readding doesn't make the error go away for the code inspector. I can still execute the code without problems afterwards. Adding a number to a parameter of choice: U[d] + 0. Not the answer you're looking for? Browse other questions tagged python pycharm or ask your own question. PyCharm + Flask: Unresolved reference - How do I properly import Python namespaces?